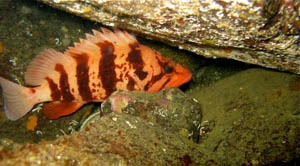 My work focused on evaluating the effects of Rockfish Conservation Areas (RCAs) on the severely depleted populations of nearshore rockfishes. This group of slow-growing, late-maturing species is subject to high mortality from both commercial and recreational fishing. I quantifed the rate of recovery of rockfish inside RCAs and examined whether there are knock-on consequences of any changes in rockfish for other species of fish and invertebrates. I worked in conjunction with Parks Canada and DFO. 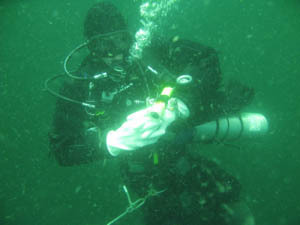 My project was funded by the Canadian Healthy Oceans Network.